Walking around the fairgrounds, I saw plenty of things worth photographing. I only regret not going in to see Hercules the Giant Horse. Maybe next year? 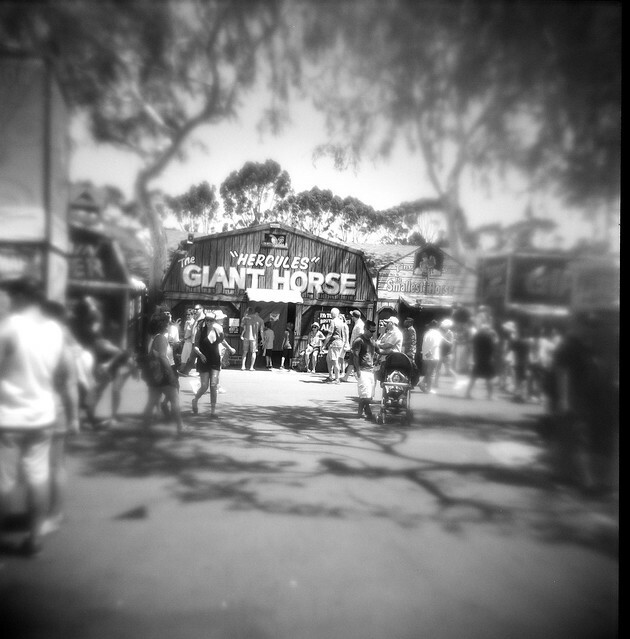 Posted in Holga 120N, OC Fairgrounds, Square Format Tagged analog, black and white, film, horse, OC Fair, side show.